How Far is Sri Kamalavalli Nagar? Just 1.5 kms drive from Madurantakam Railway Station. Just 1.5 kms drive from Madurantakam Bus Stand & Market. Just 26 kms drive from Chengalpattu. 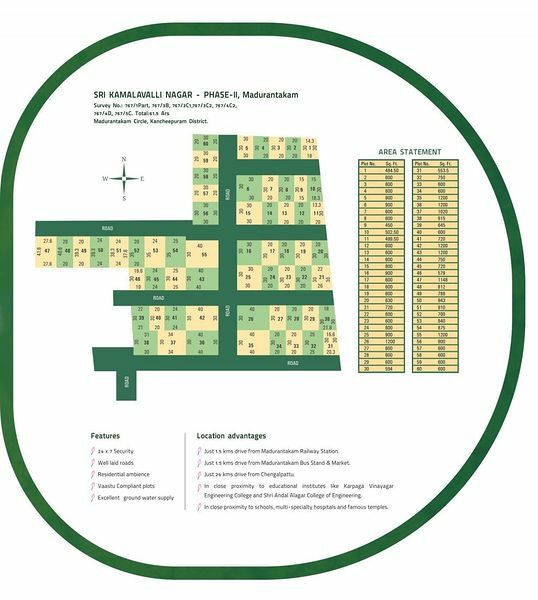 In close proximity to educational institutes like Karpaga Vinayagar Engineering College and Shri Andal Alagar College of Engineering. In close proximity to schools, multi-specialty hospitals and famous temples.